We’ve all been on those long flights that never seem to end. You’re crammed between other travelers and there’s too much noise for your liking. You just can’t seem to get any sleep – or even get comfortable – and you arrive home yawning or rubbing your sore neck. With those unpleasant experiences in mind, here are seven tricks for flying more comfortably the next time you’re on a lengthy flight. Often, we struggle down the aisle with our luggage, and then lift it up and try to cram it in the overhead bin or stuff it under the seat in front of us. This isn’t a recipe for comfort. So make sure you only bring what you need for your trip. Even if it’s an international trip, you should be able to find a place to wash your clothes (and wear outfits more than once, if necessary). Breathable, loose-fitting clothing can make quite a difference in making you more comfy on an airplane. If you wear a tight-fitting outfit, it can become quite uncomfortable when you factor in other passengers and narrow seats. Travel pillows can make it easier to sleep on an international flight. Buy one that provides adequate neck support; few things will make you grumpier than arriving at your destination with a sore neck because your head’s been cocked at a strange angle as you tried to sleep. Also, bring your own travel blanket because sometimes there aren’t enough supplied blankets to go around. Noise-canceling headphones can help you shut out the surrounding noise that you’ll inevitably have on any airplane. While these headphones can cost $200 or more, they’re great in helping you get to sleep, or just to reduce the distractions around you. Alternatively, you can just bring foam earplugs. No matter how we try to stay comfortable, we can start to feel confined after hours of staying in a seated position. So take the time to get up and stretch or go to the bathroom from time to time, as appropriate. Find ways to pamper yourself on a long flight with other comfort accessories like a self-inflating seat cushion or cucumber eye pads. Little touches of luxury can go a long way in helping you feel good. Make sure you get adequate rest, especially on an international flight. It might be tempting to stay up and read a book or talk with your traveling companions, but this can leave you jetlagged when you arrive overseas. Don’t be bashful about trying to sleep soon after takeoff, especially if you have a business meeting or major items on your itinerary on the day you arrive. Also, if you drink lots of coffee or Coca-Cola, it can leave you feeling dehydrated, so choose drinks like Sprite or orange juice instead. So now you’ve given some thought to arriving comfortably at your destination. But will you have peace of mind while you’re there? 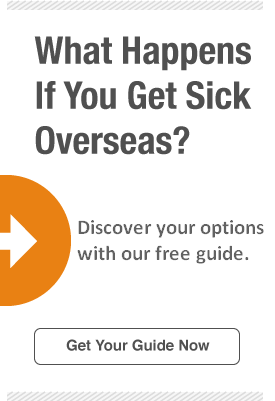 Often, your primary insurance at home won’t cover an injury, illness or other challenges while you’re abroad. Click here to read about the benefits of Atlas Travel Insurance and how it can keep your wallet comfortable while you’re traveling outside your home country.